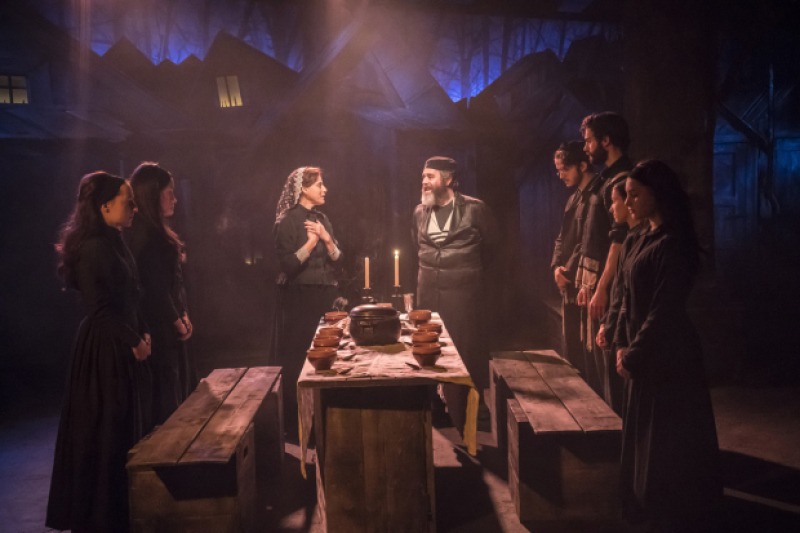 One of the bigger Broadway musicals to get the annual Menier Chocolate Factory winter musical treatment, Fiddler on the Roof is in very safe hands with master director Trevor Nunn at the helm. With the audience on three sides, and no one further than five rows away from the action, the production unfolds with a noticeable sense of naturalism and authenticity, with myriad personal and practical details readily seen and absorbed. Conveying the fear and reaction to change from a world in crisis, Joseph Stein’s book, Jerry Bock’s music and Sheldon Harnick’s lyrics have a particular relevancy at present. 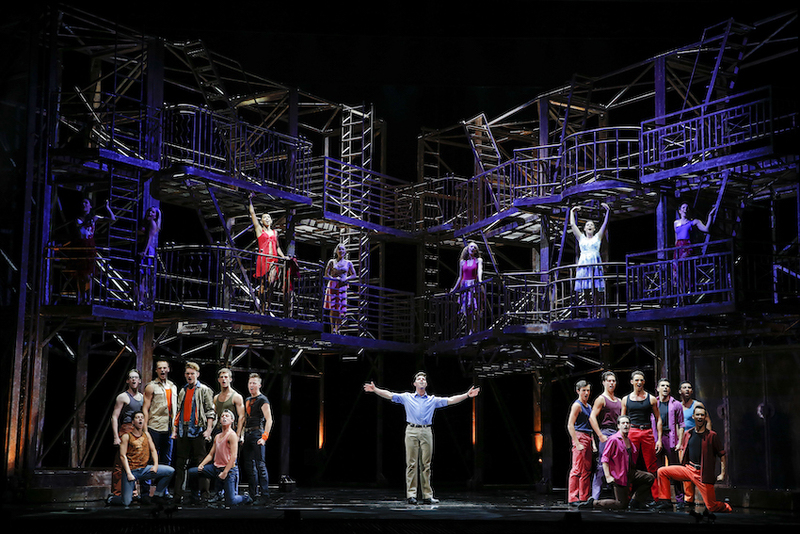 For this scale of production, 23 performers is a generous cast size. Nunn dispenses with a traditional chorus, having each cast member as a named character. This concept reaches its zenith as act one concludes with Motel and Tzeitel’s wedding. Everyone on stage is an established character, enriching the interactions as men and women begin to dance together and raising the stakes of the climactic pogrom. Nunn ends the act with a significant look between Tevye’s third daughter Chava and local Christian youth Fyedka, highlighting the clash of cultures and portending further drama to come in act two. Choreographer Matt Cole uses the company in movement that derives so organically from the characters and their songs that it barely seems like choreography. Jerome Robbins’ original choreography is recreated for “To Life,” for which Cole is blessed some excellent acrobatic men, and the famous “Bottle Dance” at the wedding. In line with the natural feel of the show, there is no dream ballet scene as Tevye sings “Chavelah.” In another minor change, the music when Perchik teaches Hodel to dance is not played; rather, Perchik simply sings it. A wonderful illusion is achieved in “Tevye’s Dream,” with the ghostly Fruma Sarah (Gaynor Miles) magically floating, and gently bobbing up and down, as she sings her dire warnings from the grave (as recounted by Tevye). Top marks to specialist consultant Paul Kieve for his brilliant contribution to this scene. On keyboard, musical director Paul Bogaev leads sevens other musicians in a lively performance of Jason Carr’s expertly distilled orchestrations. 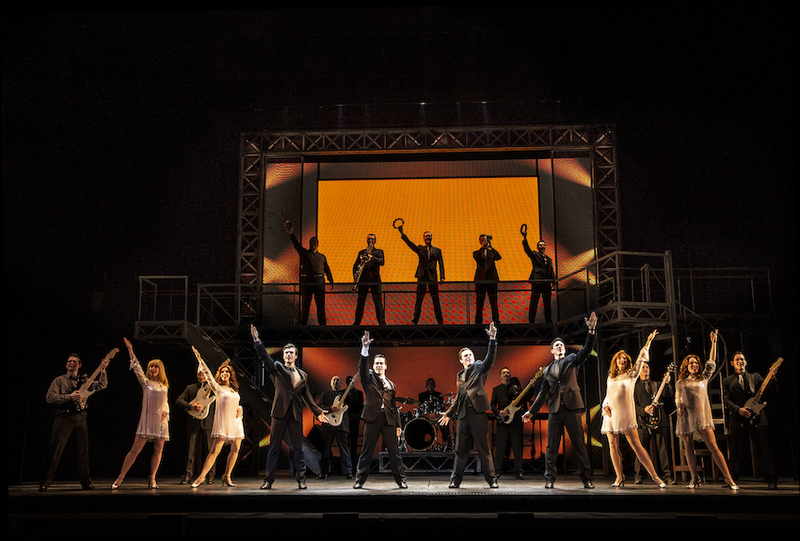 Scene change music has an upbeat klezmer feel, as cast members change props and furniture with choreographed flair. Violinist Darius Luke Thompson takes to the stage with confidence as the eponymous Fiddler. Set designer Robert Jones has decorated the entire space with weathered wooden beams and glimpses of forest. The main setting is a very solid three-dimensional collage of cottages, with quaint rooftops disappearing into the distance. The performance space also features an operational water pump. Tim Lutkin’s lighting design often bathes the space with the warm feel of candlelight. Sound design, by Gregory Clarke balances each musical instrument and the voices to immersive perfection. 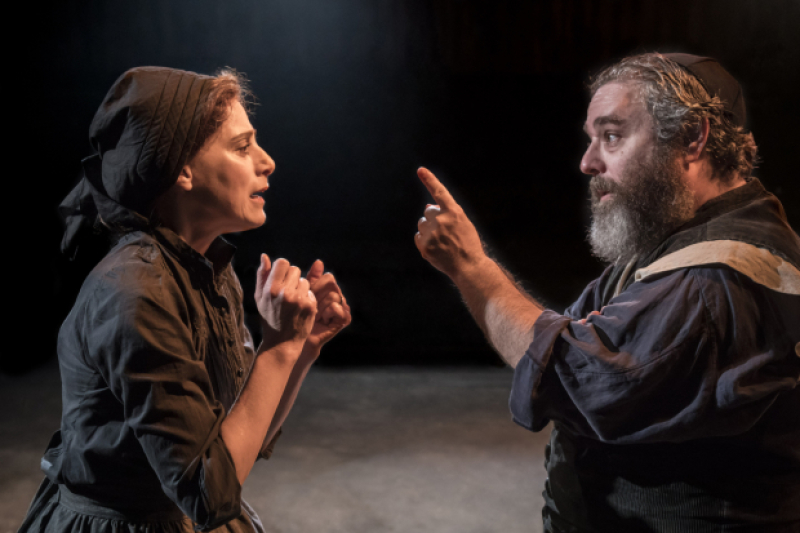 Andy Nyman plays Tevye with a distinctly comic cadence, setting aside almost all of the character’s anger and making him a very likeable man. Just when you think Nyman might be too light, he brings out the heavy emotional reactions when required. As an example, Tevye’s rejection of dear daughter Chava is quite heartbreaking. Broadway star Judy Kuhn is a very effective match for Nyman, her simple, grounded performance providing the other side of the emotional coin to the relationship. It is hard to recall a more believable or affecting rendition of Tevye and Golde’s “Do You Love Me” than the one seen here. 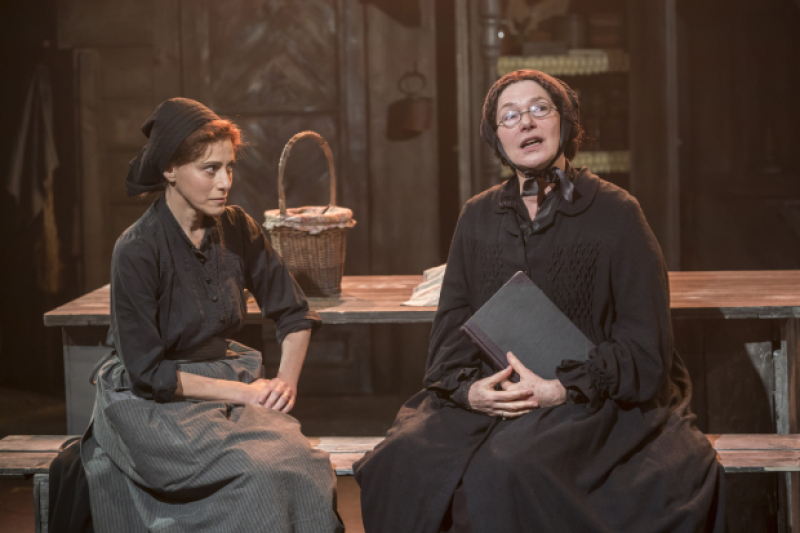 Again in keeping with the natural feel of the staging and the close proximity of the audience, Nunn has cast actual young girls as Tevye’s daughters, rather than starlets or young-looking late twenty-somethings. 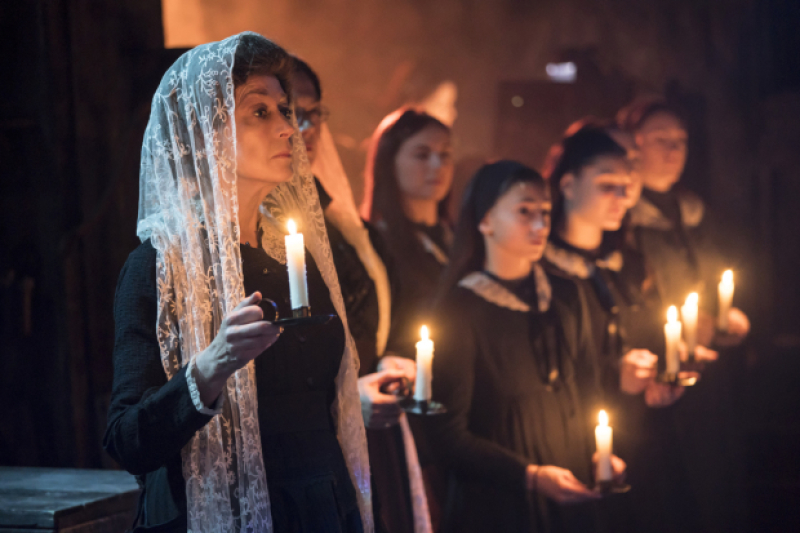 Molly Osborne (Tzeitel), Harriet Bunton (Hodel) and Kirsty MacLaren (Chava) personify sweetness and innocence, and the show is all the more potent for it. In another interesting move, Nunn has bucked the ongoing London stage trend towards colour blind casting. Every one of the actors has been cast for their authentic appearance as Russian Jews (or, for a small number, Christians). 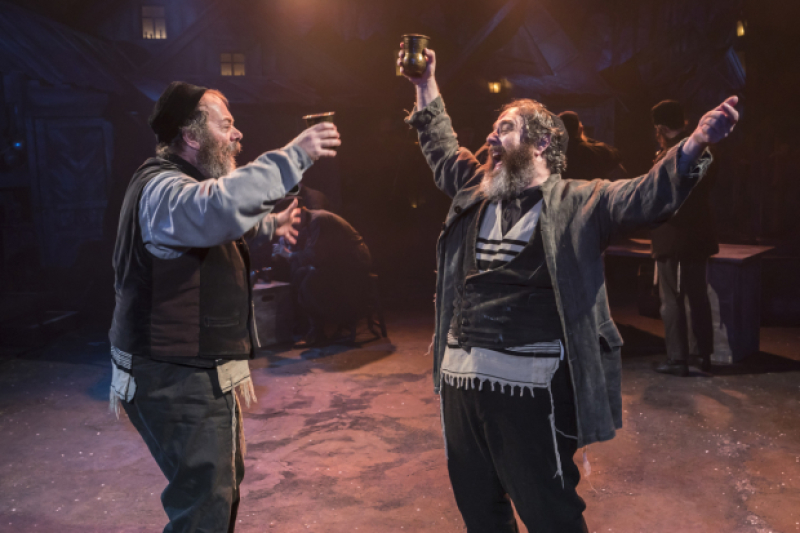 The intimacy of this production has added layers of enjoyment and interest to Fiddler on the Roof. 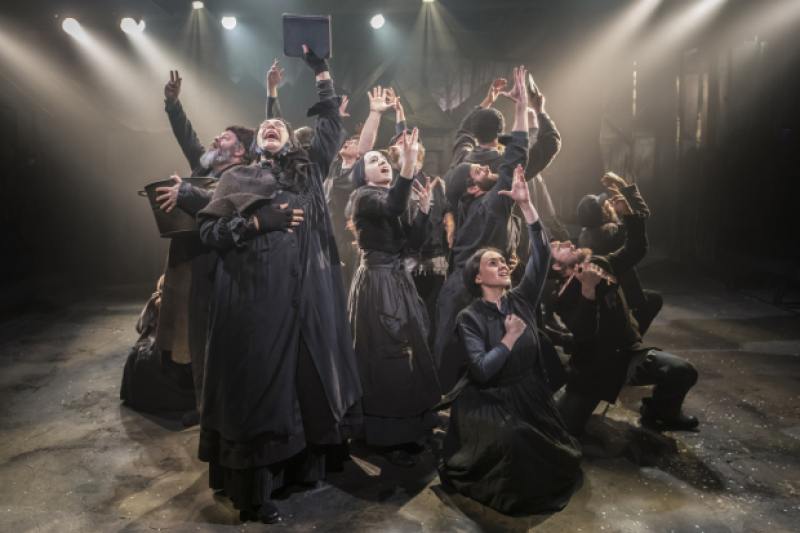 Fiddler on the Roof was reviewed 3.30pm Sunday 20 January 2019 at Menier Chocolate Factory, London where it plays until 9 March 2019.